Numerous research programs have developed over the last decade to improve the understanding of the causes, prevention and treatment of diabetes and its complications. Efficient synthesis of the data and information from these diverse sources is crucial to prioritize interventions and assemble resources for the implementation of public health programs. 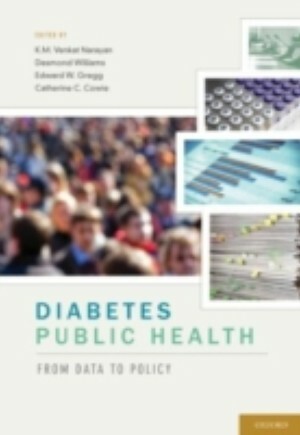 This book meets this need and builds on previous works to reflect the evolution of science related to diabetes public health. influential epidemiologic studies and consensus statements, expected future advances in trials and technologies, and public health information resources are also highlighted topics. With significant attention to diabetes control in the U.S. and North America, Diabetes Public Health should be required reading for public health practitioners and researchers, as well as anyone involved in health policy, administration and management. It will also be of interest to academics in the field of diabetes and other chronic diseases.